Earlier this week, Centre for e-Democracy Director Nicole Goodman led an Online Voting Roundtable in Ottawa. This event, broadcast on CPAC, brought together government Ministers, experts and practitioners from around the world, and members of Indigenous communities and organizations across Canada. The Honourable Maryam Monsef, Minister of Democratic Institutions, provided opening remarks. Yvonne Jones, Inuk MP Labrador, and Charlie Angus, MP Timmins-James Bay, also spoke. 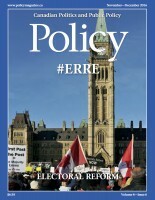 The Roundtable focused on the possible adoption of online voting in Canadian federal elections, what policy implementation could look like, and the steps to be taken leading up to deployment. These discussions will provide the basis for policy recommendations to the federal government. Voting CPAC’s Martin Stringer and Peter Van Dusen provided a recap of the event in the video above. The Roundtable was envisioned and organized by the Centre with the support of Dr. Chelsea Gabel who designed and led the Indigenous focus of the Roundtable based on her SSHRC-funded Indigenous Digital Democracy Project (also with Drs. Karen Bird, Jon Pammett, and Les Jacobs). McMaster University and the Centre for International Policy Studies at the University of Ottawa also generously sponsored the event. 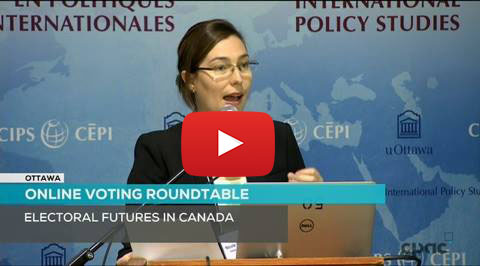 Video presentations from the Roundtable, a lightening policy brief series based on presentations, and other content will be made available on the CeD website. Watch this space for more details.